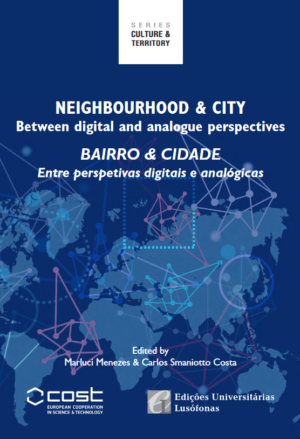 The aim of this book is to promote discussion and critical thinking on the urban environment at the intersection of neighborhood and the city from an interdisciplinary and multidimensional perspective, encompassing their socio-spatial relations. It is the third volume of the Culture & Territory Series produced by the CyberParks Project. from a pan-European experience to a transcontinental one. – Questioning the paradox raised by a bipolarised approached to an idea of neighborhood (eg. emblematic/problematic, central/peripheral) that does not recognize socio-spatial relations between different contexts. CyberParks was a COST Action and its main objective was to create a research platform on the relationship between Information and Communication Technologies (ICT) and the production of public open spaces, and their relevance to sustainable urban development. The impacts of this relationship have been explored from social, ecological and urban design perspectives. Learn more about the Cyberparks Project here.